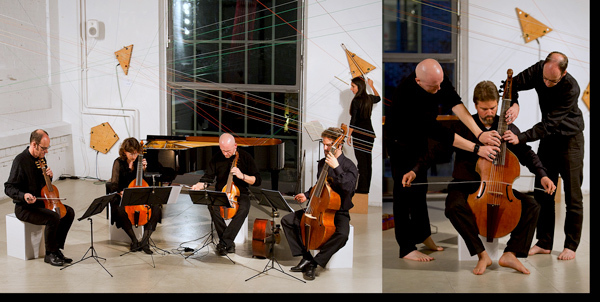 The ensemble arcimboldo, Basel was founded by Thilo Hirsch in 1991. It is named after the Renaissance painter and first ‘Surrealist’, Giuseppe Arcimboldo, who is known above all for his paintings of fruit and flowers, and this reflects the ensemble’s basic idea: melting different elements together to form a new, surprising whole. 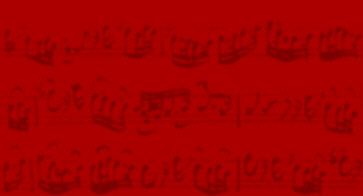 The success of this concept has been proved in the ensemble’s many performances since 1991, its excellent reviews, and by its invitations to numerous European festivals (such as the Festival Atlantico of Madeira, the Münster Baroque Festival at the Münster City Theatre, the Fränkischer Sommer, the Magdeburg Telemann Festival and the Ekhof Festival in Gotha). The numerous reviews of its most recent CDs have praised it in the following terms: ‘rarities and exotic sounds’, ‘first-class achievements’, excellent performance’, ‘delicacies played with the highest professionalism’ and ‘highly recommended’. The members of the ensemble studied at renowned institutions for historical performance practice, such as the Schola Cantorum Basiliensis or the Koninklijk Conservatorium in Den Haag. Besides radio recordings, such as of the d’amore project of West German Radio in Cologne in 2005, the Musica Antiqua series of the Bavarian Radio in 2004 and for Swiss Radio DRS, the ensemble arcimboldo also works with various vocal ensembles and regularly commissions new works: 2005 a composition from Michael Bürgin (*1969) for the project "Music from Swiss Monasterys", 2011 for the project "Bogenhauser Künstlerkapelle" two compositions from Abril Padilla (*1970) and Hans-Jürg Meier (1964–2015), 2012 "DO-UT-DES" was composed by Erik Oña (*1961). In the project "La Piazza - scenical-dance-concert" at Gare du Nord/Basel two compositions by Jason Rosenberg (*1979) and Abril Padilla (*1970) were premiered. For the sound installation "resonance-box"/2015 two pieces were composed by Charlotte Torres and Abril Padilla.